Suspended above the swimming pool basin, a gigantic “Medusa” created from of a subtle web of black ribbons comes to life with illumination creating a game of shadows that moves against the backdrop of six musicians performing live. 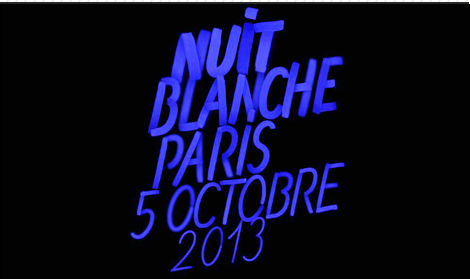 Best of Nuit Blanche 2013! The nights of 5-6 October from 19:00 to 5:00am.